Diwali went well. We might have contributed to the global warming in a significant way, but who is checking? Muhurat trading went very well with Sensex regaining 9000 levels. That is the good news. Though it is not the topic of this discussion. Bharti Airtel has entered the elite club of top telecom companies. It is at number 25. It is the only Indian company in the list. Britain’s Vodafone which recently acquired Hutch is at number 1. The study conducted by UK based brand valuation firm Brand Finance Plc, uses a methodology called “royalty relief”. This takes into account several factors mixed up to come up with the brand value of the company. Brand value is not tangible. If it has to go by number of subscribers alone at least 3 Indian companies would be featuring in the list. India has crossed 300 million subscribers at the end of September. That number is pretty close to the population of United States. India is second in terms of number of subscribers only next to China which has 616 million subscribers. So, it would not be a wonder that Indian telecom providers might have more subscribers than most of theÂ global telecom giants on the list of 25. Airtel has 75 million subscribers, Reliance has 55 million subscribers and BSNL has 38 million subscribers. Since brand value is measured on a global scale, only one Indian company on the list is justified.Â None of our telecom providers have global presence. Airtel is setting up its shop in Sri Lanka with the help of IBM. Reliance pursued South Africa’s MTN which wouldÂ have been a gateway to Africa for Indian telecom. Thanks to family feuds that did not go through. Airtel is rumored to be pursuing MTN kind of deal to expand its global footprint. Lack of global presence is the main reason for a lesser brand value. I still agree with what came out of the report. Airtel, to me is a better brand compared with Reliance or Hutch (now Vodafone). I had my share of frustrations with both Reliance and Hutch, but not with Airtel. Reliance might not be behind for very long. Reliance has acquired its GSM license and is rolling out the operations swiftly. It is only a matter of time Reliance will overtake Airtel to become the top company in India. 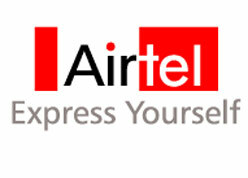 Airtel to keep or improve its brand value should innovate with mobile services and also expand into overseas markets. Airtel should grow both organically and inorganically (through acquisitions). It is clear that Reliance cannot grow inorganically. That would be Airtel’s strength. If only it can capitalize on it. Reliance will be on the next list. Do you think Airtel’s brand value is justified? Do you think Reliance or any other telecom company should be on that list? This is how bubble builds up ! WHAT IS PROCESS TO JOIN? Airtel entered into Srilankan market in beginning of this year. But they are struggling at the moment in facing the competition in the Sri Lankan market. All the operators giving a hard time to Airtel, and Airtel has seriously trapped. They have openly admitted their incapability of collaborate with other operators behind the screen. Now they have ridiculously went beyond the limits and have started in writing to news papers regarding their internal issues. This is extremely childish behavior from a well known company like Airtel. If Bharati Airtel really need to maintain their good name amongst the community, they seriously need to have a look at their operations outside india. The perception about Airtel in the Sri Lankan market is not in a good scale as they act upon seriously unethical manner in their market operations. They had to delay their launch for a long time due to those issues. Even after the launch still they are struggling. Refer this news paper article for more information on Airtel’s childish behavior in Sri Lanka. Another interesting blog post about Airtel Lanka. I m Ashish jaiswal, student of pre-final year of engineering degree and my branch is Electronics and telecom. I want to do my vocational training from the best company please suggest me some company who provides vocational training programs.